Head southwest on I-95 S. Take exit 45 toward I-295/US-1/ME-114/Maine Mall Rd/Payne Rd and merge onto Maine Turnpike Approach for 0.1 mi. 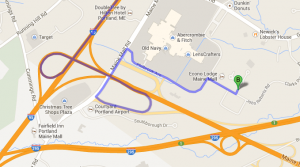 Then take the Maine Mall Road exit toward Maine 114/Jetport and follow for about half a mile. Take a right onto Maine Mall Rd and shortly after turn right onto Philbrook Ave. After continuing on Philbrook for half a mile, take a right onto John Roberts Rd and then your first left onto Donald B Dean Drive for about 100ft. Fore River Urology will be on your right. 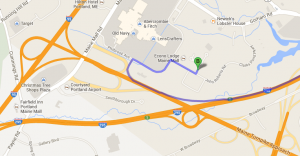 Head northeast on I-95 N until you reach exit 45 toward US-1/ME-114/Maine Mall Rd/Payne Rd. Take that exit and merge onto Maine Turnpike Approach where you will very shortly take the Maine Mall Road exit toward Maine 114/Jetport. Take a right onto Maine Mall Rd and shortly after turn right onto Philbrook Ave. After continuing on Philbrook for about half a mile, take a right onto John Roberts Rd and then your first left onto Donald B Dean Drive for about 100ft. Fore River Urology will be on your right. Head southwest on I-295 S and continue until Exit 1. 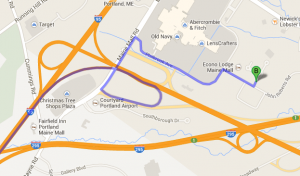 Take Exit 1 toward I-95 N/Maine Mall Rd/Maine Turnpike N. Merge onto Maine Turnpike Approach and shortly after take the take the Maine Mall Rd exit. Stay right on the off ramp and turn right onto Philbrook Ave. After continuing on Philbrook for about a third of a mile, take a right onto John Roberts Rd and then your first left onto Donald B Dean Drive for about 100ft. Fore River Urology will be on your right. © Copyright 2015, Fore River Urology. Site design by Simple Solutions, Inc.